Twenty-six seconds. That’s how close Kenyan runner Eluid Kipchoge came to breaking the two-hour marathon and bettering a mark many thought to be unachievable. Although this was the fastest time ever run over the 26.2 mile distance, it unfortunately did not count as a world record. In the event, organised by Nike in Monza, Italy, the revolving use of pace setters taking turns to reduce wind resistance and drinks handed to the athletes by attendants on bicycles meant that the time would not be recognised by the IAAF, the athletics governing body. Despite this, the significance of Kipchoge’s time should not be underestimated. Just as the four-minute mile was a target for elite athletes in the 1950s, the excitement surrounding a sub-two-hour marathon has been building recently as the world record has been slowly chipped away. It currently stands at 2:02:57, set by Dennis Kimetto of Kenya, but Nike believed that, by controlling as many factors as possible, the elite runners selected for their race could break the two-hour barrier. How did Kipchoge get so close? He is obviously an extraordinary athlete who optimised as many factors as possible to get the best performance including training, environment, equipment, pacing and nutrition. 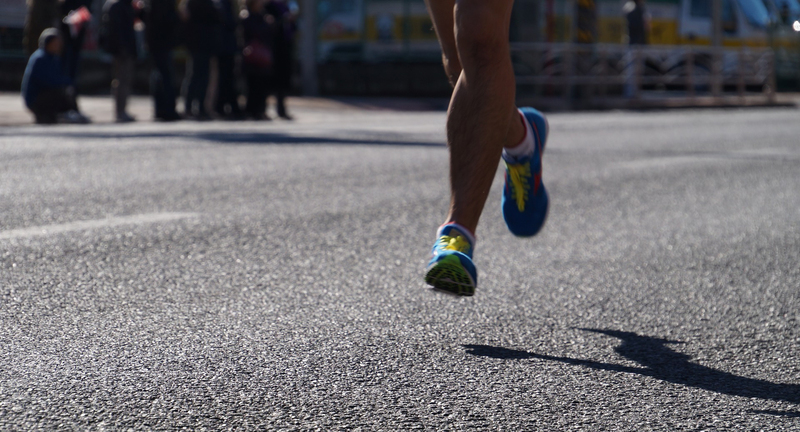 For a marathon runner, nutrition plays a vital role and that means taking on carbohydrate to provide additional fuel to that already stored in the muscles and liver. There is a limit though. The most carbohydrate that can be used by anyone is thought to be around 90g per hour as long as different types of carbohydrate are used in the drink – for example, the sugars maltodextrin and fructose. This limit also depends on the carbohydrate being emptied from the stomach into the intestines and from the intestines into the blood at a fast enough rate without causing gastrointestinal discomfort. Gut discomfort is quite common in runners. Beate Pfeiffer of the University of Birmingham investigated carbohydrate intake in marathon runners and found that 4% had serious gastrointestinal issues – but this was only after consuming an average of 35g per hour. Higher amounts of carbohydrate and fluid will probably cause more problems. When they investigated other endurance events, high carbohydrate intake was related to increased nausea and flatulence, but it was also related to improved performance during Ironman races – the longest form of a triathlon (2.4 mile swim, 112 mile cycle and 26.2 mile run). A good carbohydrate strategy depends on a fine balance between the total amount of carbohydrate and the amount of fluid consumed without causing any discomfort. Most commercially available sports drinks have a 6% carbohydrate concentration, which means that each litre contains 60g of carbohydrate. If runners only aimed for 60g of carbohydrate per hour they’d have to drink two litres of fluid over the duration of the race. That’s a lot of fluid at high speeds. If runners aim for 60g of carbohydrate per hour they need to drink two litres of fluid over the duration of a marathon. During a marathon, drink stations are every 5km (about every 14 to 15 minutes). 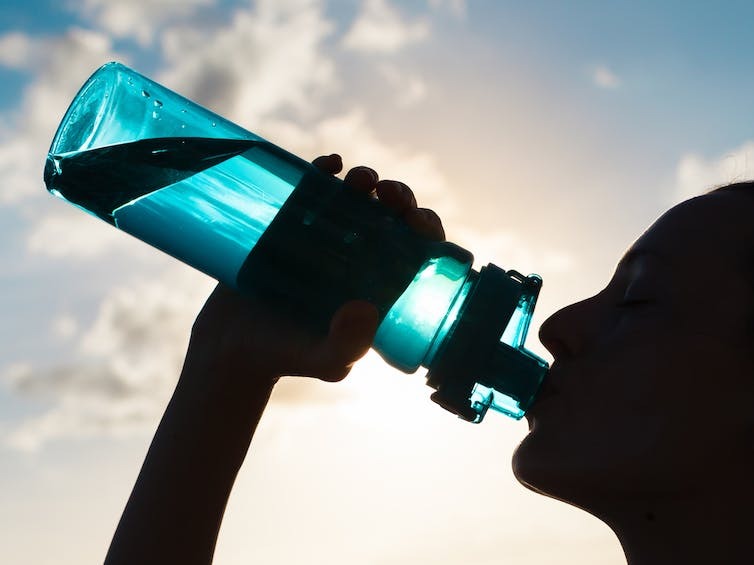 In order to get the optimal amount of carbohydrate, runners would have to drink about 200-300ml at each drink station – a big challenge when you are running at 13.1 miles per hour. Kipchoge and his team at Nike switched a few things up to optimise nutrition. He reportedly drank a 14% carbohydrate drink to reduce the total volume of liquid he had to consume. Nike also set the drink stations up so that the three runners, hand picked to break the two-hour mark, could drink on every 2.4km lap. This way, they could take much smaller drinks and prevent a build-up of fluids in the stomach. This needs practice though – as concentrated drinks can be slow to empty from the stomach, particularly during high-intensity exercise. There is no way Kipchoge could have consumed a 14% carbohydrate drink without having practised and experimented in training. In other words, he trained his gut by building tolerance to large amounts of fluid and highly concentrated drinks, so that more is emptied from the stomach into the intestines. In a 2010 paper, Greg Cox of the Australian Institute of Sport demonstrated that, after 28 days of high-carbohydrate feeding during cycling exercise, the amount of carbohydrate used increased. For marathon runners, more carbohydrate use means more fuel and energy. How much did nutrition help in the Nike event and did training the gut make the difference? There is no definitive proof but we might see something by looking towards one of the other Nike athletes, Zersenay Tadesse. He has been notoriously bad at getting his nutrition right in marathons. The world record holder for the half marathon, he has struggled when doubling the distance – but managed to beat his personal best for the marathon by four minutes in the Nike event, reducing his time from two hours ten minutes to two hours six minutes. Maybe, just maybe, with the help of the scientists, he trained his gut to optimise nutritional intake and provide the platform for a personal best. We may never fully know the role nutrition plays in long-distance running, but what we do know is that when someone does break the two-hour barrier, nutrition and a trained gut will probably be at the heart of it.